Eye Care Directory offers up-to-date information about the optical eyeglasses stores and eye doctors for your vision needs in the Lorient of Brittany. You may arrange an free eye exam, buy prescription eyeglasses, RX sunglasses or donate your old eyeglasses by using the contact information in the directory. Transition lenses, they are one of the more influential developments to hit the eyewear industry in the last several decades. Transition lenses are the ideal combination of prescription glasses and sunglasses, clear at night or when it is cloudy or shady, dark when outdoors in the sun.one pair is all it takes to cover all light conditions. One of the primary drawbacks of transition lenses: they do not fully darken inside a car. UV light present in a car is that which filters in through the side window glass, and usually it's not enough to trigger transition lenses. This can be problematic for many, as daytime driving is one those activities where sunglasses are most useful. Options, such as sunglasses that fit over or clip on to your prescription glasses, are available. Where can I get daily disposable contacts for astigmatism? Of course there are. They are toric lens and often come in 30 packs in a box. You can go to the nearby optical store and have a ask. 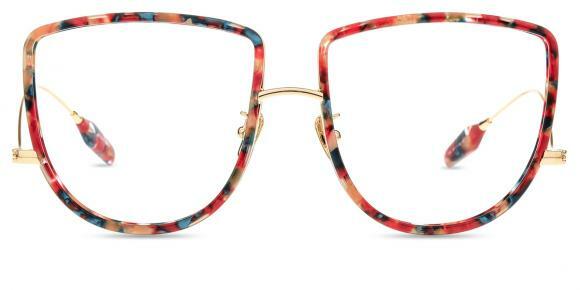 What are the most durable glasses frames? Finding eyeglasses with the qualities that are most important to you could be as simple as choosing a frame material, each distinguished by its own strengths. You can also choose frames based on factors such as color, hypoallergenic materials, durability, lightness, price and uniqueness.Titanium frame is very strong, durable, corrosion-resistant, and is 40% lighter than other metals. It's also hypoallergenic, making it a nearly perfect material for eyeglass frames. Titanium frames are available in several colors. There are many causes to account for watery eyes in children. One is too much tears which cannot timely inflow nasal cavity and pharynx cavity. It happens when the child is in an exciting mood or is crying, and such phenomenon is physiological and transient. The other one is ocular inflammation or eye infection or other eye diseases such as keratitis, conjunctiva or ocular traumas including rubbing eyes too violently. Another one is narrow lacrimal passage or block caused by inflammation or trauma, or it is possible congenital. If you find frequent watery eyes in your children, you should take them to the hospital timely for an examination so as to find out the exact cause and have a timely treatment. In general, watery eyes in children are cured with conservative medicinal method. Only when such treatment has no effect does the child receive the surgery treatment. Nowadays, there are a lot of people both celebrities and ordinary beings wearing black glasses to flatter face shape. In fact, black plastic glasses are the trend of 2012. Personally speaking, I like them very much too and I have two pairs of black glasses. My friends said that I look attractive on them especially when taking photos. However, different face shape need different glasses frame and different skin need different color. So you should firstly make sure what your face shape and skin is. If you skin is dark, black may cannot flatter you. In general, trying them on is the best way to check if it fits you or not. Who makes ralph lauren sunglasses? Ralph Lauren is an American brand, well-known to people all over the world. The name of its founder and designer is Ralph Lauren. He started his brand with men's clothing in 1968, with his first brand, Polo Ralph Lauren. His idea comes from the tradition and classics, so the style of his production line is elegant, romantic and classic. Now this brand covers many aspects of life, clothing for men, women and kids, perfume, furnithure and etc, all of which caters to the desire of customer for the perfect lives of up class. I think it is a great brand. I like it very much. What are the benefits of lemon juice on eyes? How to improve your eyesight in one week? Well, of course, there are many ways in daily life which you can just have a try to improve your eyesight. But on the other hand, you need to know that not all the ways can be very effective. And some people who have poor vision cannot change it anymore. Of course, you can just have a try. For example, you can just eat more vitamins A, C, E, and minerals like copper and zinc which are very good for eyesight. Also, antioxidants, including beta-carotene, lutein, and zeaxanthin, can protect the macula from sun damage. So you can just get these antioxidants from dark leafy greens, egg yolks, yellow peppers, pumpkin, sweet potatoes, and carrots. By the way, you should know that foods rich in sulfur, cysteine, and lecithin help protect the lens of your eye from cataract formation. Anyway, just have a try. 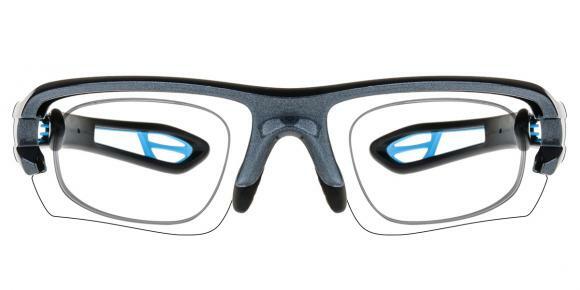 Can wrap-around eyeglasses be made as blended progressives? I have never heard that.You should ask your doctor for advice. Well, you should know that vitrectomy is one of the most serious surgeries in relation to our eyes which would cause some health risks to us. However, so as not to be blind and keep a good vision. And as you can see there are some lasting impacts on your eyes after vitrectomy, since it is quite serious and requires some time to recover and rest. So, maybe one or two months later you are good to fly.